VCG/VCG via Getty ImagesAlibaba Group’s chairman, Jack Ma, at the Alibaba Xin Philanthropy Conference on September 5 in Hangzhou, in China’s Zhejiang province. Jack Ma, who created the e-commerce giant Alibaba Group and is China’s wealthiest person, has been outed by the Chinese media as a member of China’s Communist Party. There has long been speculation about Ma’s ties to the Chinese government, though he has often kept his distance from Beijing in his public comments. On Monday, the state-run People’s Daily wrote that the Communist Party would be honouring 100 people, including Ma and two other internet-tech moguls, for their contributions to China’s economy. Jack Ma, who created the Chinese e-commerce giant Alibaba Group and is the country’s wealthiest person, has been outed by state media as a member of the Communist Party of China. But on Monday, the state-run People’s Daily wrote that the CPC would be honouring 100 people, including Ma and two other internet-tech moguls, for their contributions to China’s economy. The publication specifically referred to Ma as a “CPC member” and said Ma had been listed as a “huge driving force for domestic demand” as the head of Alibaba Group. “Under his leadership, Alibaba ranks among the top 10 global companies in terms of market value, making China a leading player in the international e-commerce industry, internet finance and cloud computing, spawning a large number of entrepreneurs and start-ups,” the People’s Daily wrote, citing a government statement discussing the award. Bill Bishop, the publisher of the China newsletter Sinocism, says the revelation about Ma isn’t surprising to many who have followed Alibaba’s successful catapult into the global market. “No one doubted that Alibaba had to be close to the CPC to survive,” Bishop told Business Insider, though he noted that other Chinese tech moguls had been able to build successful companies without pledging their support. 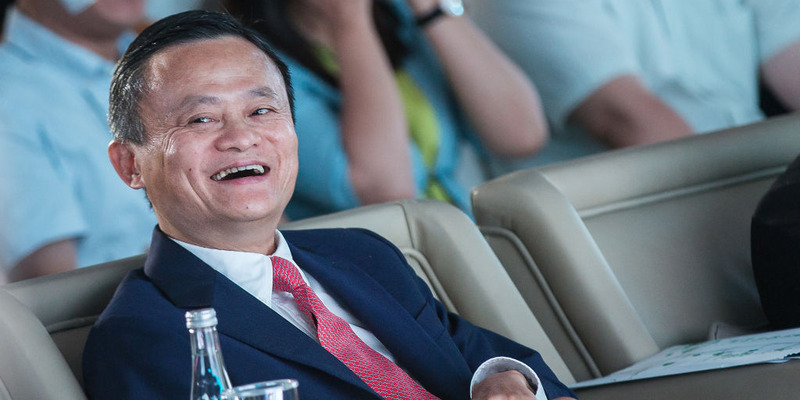 Bishop added that while Ma decided to step down as chairman of the e-commerce giant in September 2019, the revelation of Ma’s close ties to the Chinese government would most likely continue through Alibaba.